I don't know that they actually pulled the doors as the couple of examples that I found with a quick search do indeed show bare stainless in the door sills. 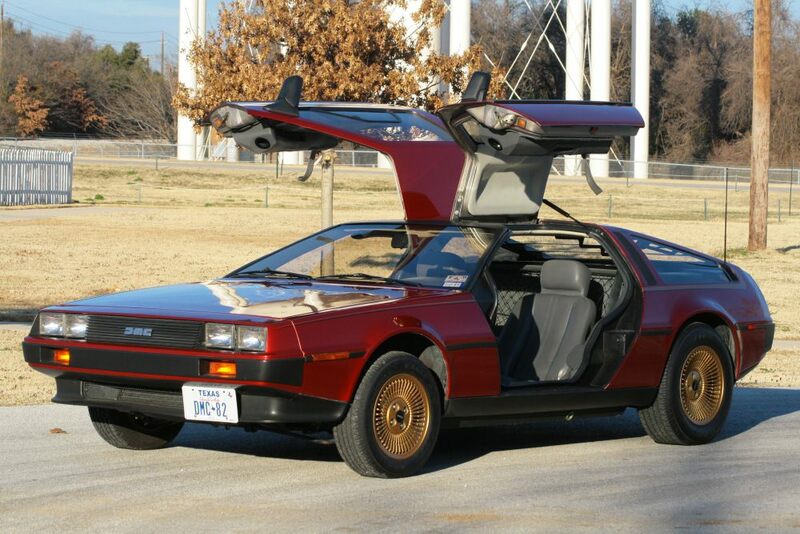 And "Candy Apple" does appear to be a valid color that came from De Lorean Cadilliac. But you're right that this car is missing the hockey stick graphics. Though while I too have never seen one if their painted cars without those trademark lines, who knows if that was a "mandatory" graphic by them. The DeLorean Museum does have the original buyer information on this car, so that might help with a little bit of the car's history. But if there isn't any solid documentation to go along with the car, like any classic car or antique you've got to take it all at total face value. That doesn't mean that it's a "bad" car, just that it doesn't have the claimed pedigree by the previous owner. "I do not have documentation on it being a DuPont car although the person I bought the car from would not have purchased it if was a stainless car"
Uh, what? So you're banking on a $40k payoff for what looks like a sub -$20k car based on literally hearsay? Personally, based on this I think the mods need to disclaim this ad for being potentially falsely advertised, or ask the seller to make the disclaimer in the original ad. First is how the vehicle is being sold. Something subjective such as "runs good" isn't something that you can hold the seller to. But a specific claim such as "one owner" or "Original DuPont Painted Car" can land the seller in some serious hot water with a fraud lawsuit. Especially if you go back and later on and can provide evidence to the contrary in a court of law. The other thing is in regards to the claim that the vehicle was painted when it was brand-new. Fine. But just because it was painted when it was brand spanking new doesn't mean that it hasn't had body work. It happens all the time. Even last year when I went to buy a new car, the dealer had the vehicle I wanted in stock, but couldn't sell it to me because a gust of wind blew and bent the hood back and damaged the car while it was out on the line. So it was in the shop getting repaired before it could be sold again. So we went with another color. And that's perfectly fine, and perfectly legal. Who is to say that sometime back in 1981/2/3/whatever when the dealer had this car brand new, a porter or someone accidentally crunched the fender while it was out on the lot, or it even got damaged during transport. It doesn't mean that the car is any less "new", but it does certainly mean that it could have been sent out to be painted and the fender filled with Bondo. Could the seller be telling the truth that they've never wrecked the car, yet it's got a damaged fender underneath? Absolutely. So you could but a car like this with the intention of stripping it, and even though the seller was as honest as possible, you might pull the paint off and find a fender with collision damage. Again, nothing personal, just a very big buyer and seller both beware here. Both parties need to be very careful. Whatever happened to having 20 posts before something could be listed in the sale section? 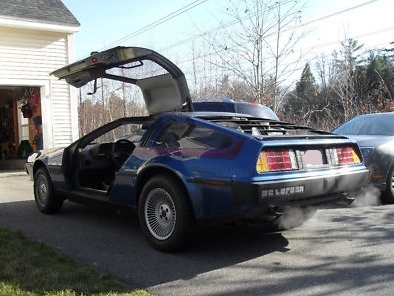 I remember seeing a similar Delorean for sale in Hendersonville, TN 5-10 years ago. Same paint color, same wheel color however it was in worse shape. Aha! I thought I had read that this was $40k before. So, the price has gone.... up??? DMC took 5 cars from the assembly line, to perform painting tests on them. 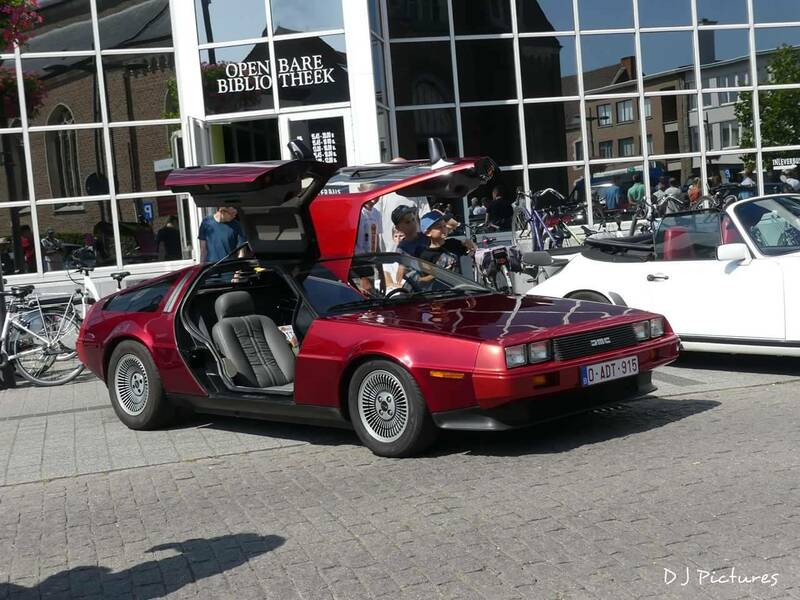 This was done upon requests from they dealers so DMC could write a specification so all the dealers would follow the same route into painting a DeLorean on DMC standards. I do not remeber the colors they were given, red was certainly one of them. Aftewards, many dealers painted Deloreans after they arrived from the factory as a new car, indeed more or less 100 cars were painted some with stripes on them. They are dealer painted cars. Many of those are often mistaken by a factory painted car, which they are not. DeLorean fact of life: Every single painted DeLorean has been or will be sold will have the claim "Factory Painted".